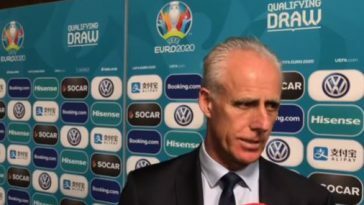 Mick McCarthy’s second reign as Republic of Ireland manager has begun with a victory in windswept Gibraltar. Jeff Hendrick’s cool finish early in the second half was enough to seal a gritty 1-0 win for the Boys in Green in their opening Euro 2020 Group D qualifier. We delve into the main talking points from the narrow victory. As expected, Mick McCarthy found a way to get both Seamus Coleman and Matt Doherty into the same team. Coleman – captaining his country on his 50th international appearance – started at right back, with Doherty operating at right midfield in a 4-4-1-1 formation. The two linked up well at times down the right in the first half, where most of Ireland’s attacks were focused. A typically determined run from Coleman created the Boys in Green’s best chance in the 27th minute. 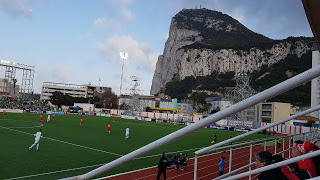 The Ireland skipper won a tackle deep in the Gibraltar half, and his low cross was almost turned into his own net by Roy Chipolina but Kyle Goldwin reacted superbly to divert the ball behind for a corner. Doherty played a clever one-two with Jeff Hendrick in the 40th minute before delivering a dangerous cross which was headed clear. A moment later, Sean Maguire did brilliantly to find Coleman in the box, and the Everton defender’s cross was superbly cleared after McGoldrick’s goal-bound flick. However, Doherty was saved by Darren Randolph in the first minute of the second half. The Wolves defender was outmuscled too easily by Chipolina in the box, and Randolph reacted superbly to claw the Gibraltar captain’s defender behind for a corner. Doherty was then substituted 10 minutes into the second half, with Robbie Brady being introduced off the bench. Coleman completed the 90 minutes, and was his usual reliable self on the right, offering plenty of attacking thrust on the right. Jeff Hendrick and Conor Hourihane were handed starts in the centre of midfield, and both men impressed. One scored the winner, and the other was named man of the match. Unsurprisingly, Ireland bossed the ball, having 69% of possession in the opening 45 minutes. Hendrick and Hourihane kept things simple in the middle, and the latter produced some sumptuous set piece deliveries. 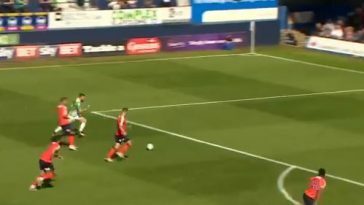 McCarthy spoke this week about getting more bodies into the box, and it was Hendrick who was in the right place at the right time to open the scoring moments after Gibraltar almost snatched the lead. James McClean controlled Randolph’s kickout brilliantly, before laying it off to Hourihane. The Corkman found the energetic McGoldrick down the left channel, who did well to hold off a Gibraltar defender and pull the ball back across the box to the onrushing Hendrick. Hendrick swept a deft left-footed finish into the far bottom corner to score just his second international goal. It was a rare moment of quality in what was a poor game, and it was no surprise to see both central midfielders involved. Hourihane’s set pieces were exquisite, and the Aston Villa midfielder was unlucky not to have a direct assist to his name. His whipped free kick somehow eluded everyone on the quarter hour, and an even better delivery a few minutes before the interval just needed a touch. Shane Duffy then managed to head another inch-perfect delivery wide in the dying minutes. Ireland traditionally do well from set pieces, and tonight’s evidence suggests Hourihane’s delivery could be crucial in the remaining Euro 2020 qualifiers. There is plenty of midfield competition in Mick McCarthy’s squad, but both players did more than enough to retain their place for Tuesday’s clash against Georgia. Sean Maguire’s wait for an international goal goes on. The Preston forward said this week that he hasn’t done himself “any justice” yet at international level, and the former Cork City striker will be frustrated not to have found the back of the net against Gibraltar. Maguire was largely starved of good service in difficult conditions, but showed some good touches and produced some clever moments of creativity. The 24-year-old was involved in Ireland’s first chance in the seventh minute. He controlled Stephens’ searching cross for McGoldrick, but the Sheffield United forward’s volley flew over the bar. Five minutes before half time, Maguire did brilliantly to find Coleman in the box, and the Everton defender’s cross was superbly cleared after McGoldrick’s goal-bound flick. 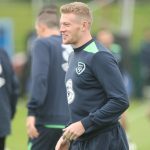 The Waterford native looked disappointed when he was replaced by Harry Arter with 20 minutes remaining, but will likely earn another chance to impress against Georgia on Tuesday. As mentioned above, it was McGoldrick who provided the assist for Hendrick’s winner, and it was a largely impressive performance from the Championship striker. He operated behind Maguire, and showed creativity throughout. The 31-year-old is a player McCarthy knows well – and earned praise from his manager after the game – and one who could play an important role in the qualification campaign. He has three assists for Ireland now, and was unlucky not to add a goal to his tally tonight. 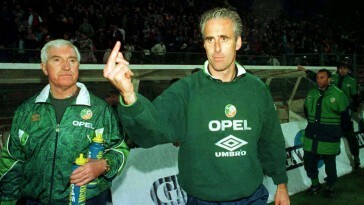 Mick McCarthy summed it up best in his post-match interview. “What a horrible game, what a great three points,” he said with a smile. The Ireland manager said he was expecting a difficult game, and conceded that there is plenty of room for improvement. It was a poor match and an underwhelming performance, but Ireland have started their qualification campaign with a win nonetheless. 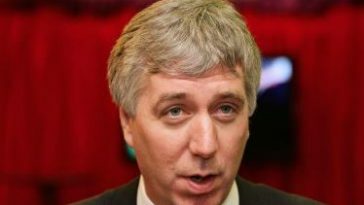 Expectations were understandably high given McCarthy’s return and the level of opposition, but patience is required. 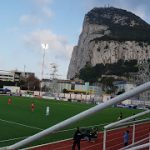 The swirling wind and artificial pitch certainly didn’t help matters, and Gibraltar proved to be stubborn opponents. A few more goals would have benefited Ireland’s goal difference, but McCarthy will be glad to get out of Gibraltar with all three points. Next up is Georgia on Tuesday. 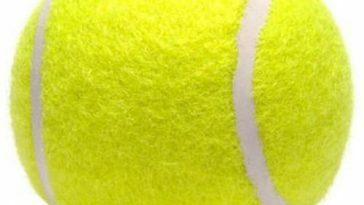 Next article A False First XI: Gone With The Wind?